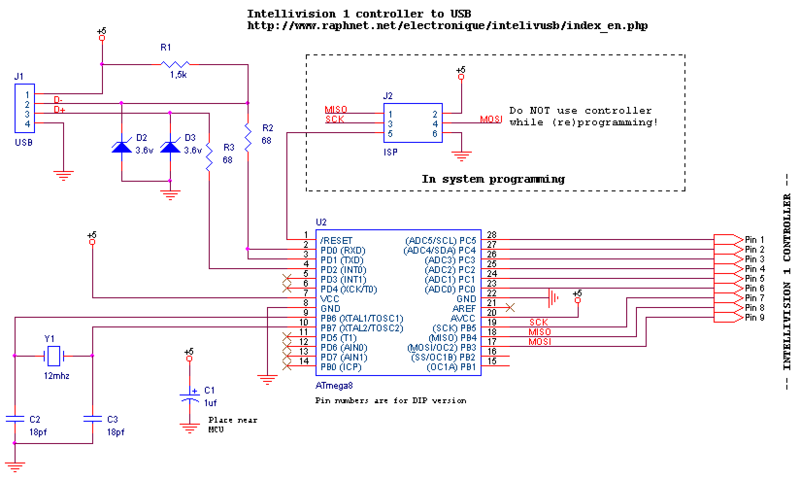 Rahnet Controller To USB | Welcome to the Intellivision Revolution! 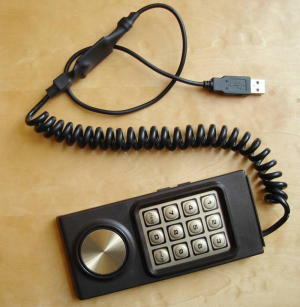 Someone requested that I convert an Intellivision 1 controller to USB. 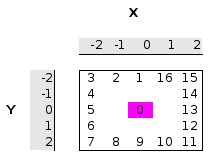 The result can be seen on the picture on the left. As usual, everything is open-source so you'll find schematics and source code on this page. A fun part of this project is the fact that I've had no choice but to figure out how the controller worked by myself. I did some research, but could not find any pertinent information about how it worked. But fear not! I have taken the time to create an how it works section to detail my findings. A table matching pin numbers to wire colors is given in the how it works section. 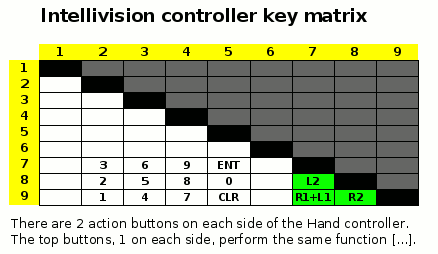 Keep in mind that the pin numbers are for Intellivision 1 controllers only! At the moment, I have no idea what the pinout for other similar controllers would be. 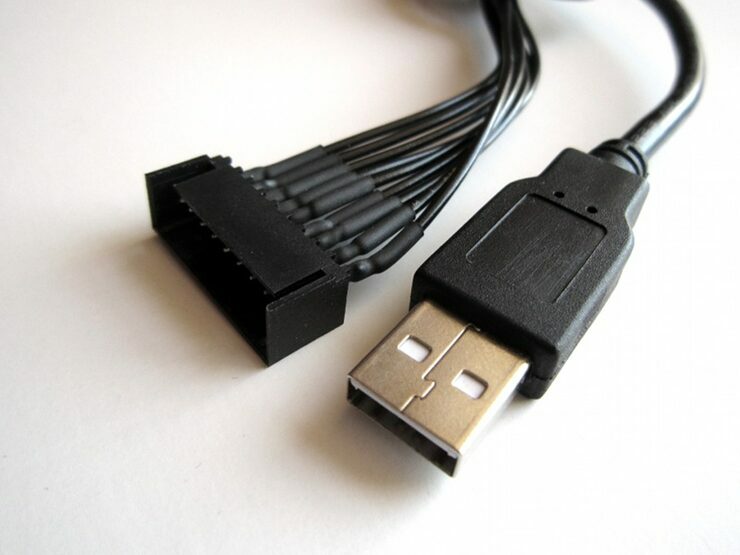 If you wish to try a different controller, I suggest that you use the information in the how it works section and compare with your controller. Be sure to contact me with your results! C2, C3 18 pf capacitors. If the crystal datasheet recommends another value, use it instead. C1 1uf capacitor. Install it near the ATmega8 power pins. 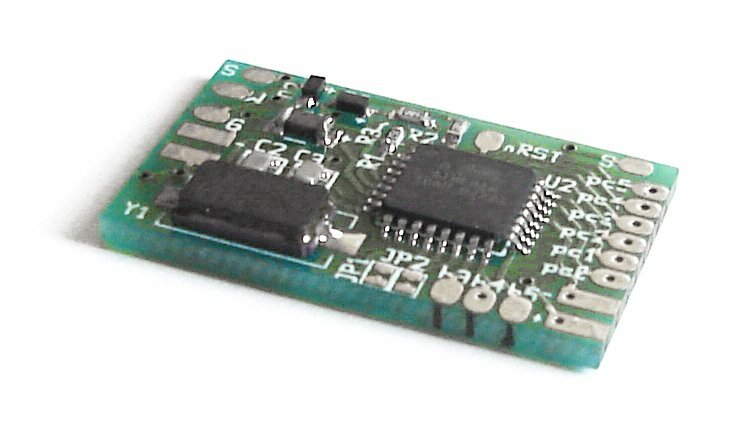 I tried to find information about the controller on the net before beginning this project but I could not find anything useful. So I had no other choice than to figure out how the controller worked by myself, which was quite fun. Here's how it works (at least to my understanding). 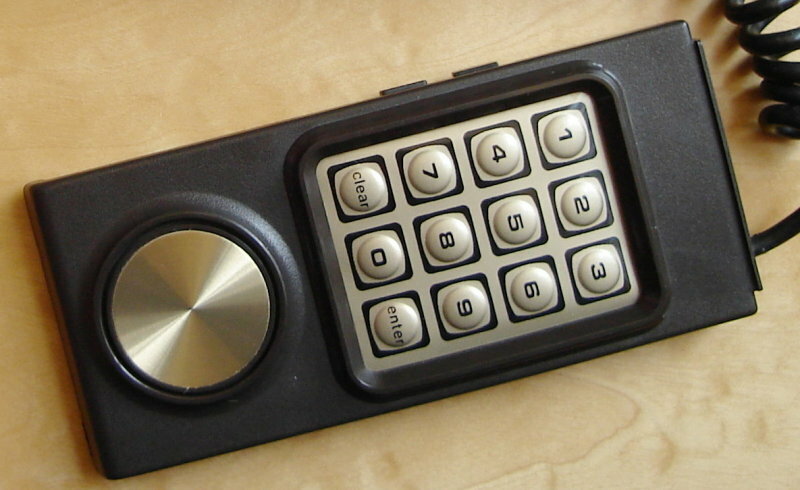 The controller has 12 buttons organized in a way similar to a telephone keypad, 4 buttons on the sides (The top buttons on each side perform the same function), and a rotating disc. The rotating disc and the 12 'telephone' buttons cannot be used at the same time. 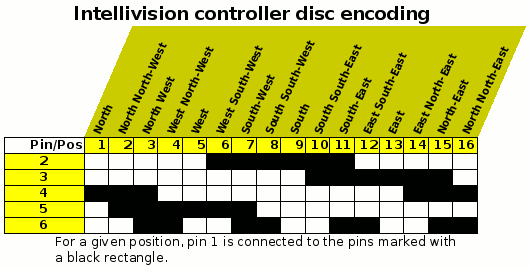 The disc is capable of 16 different directions. The current direction is output using 6 wires (#2 to #6, #1 as common). As you can see, these are in conflict with the 'telephone' buttons. This is why the 'telephone' buttons and rotating disc are not usable together. Notice also that there is always only 1 bit of difference between adjacent directions. Does it remind you of Grey code? 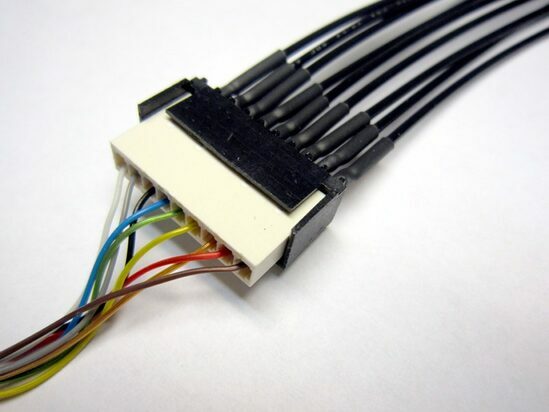 The middle direction is encoded simply by leaving wires #2 to #6 not connected with #1.